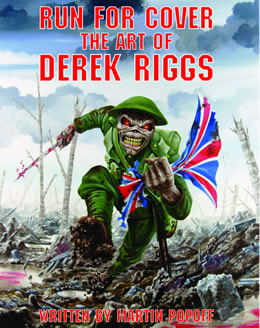 RUN FOR COVER, THE ART OF DEREK RIGGS. 180 page, high quality, full colour art book. "Run For Cover,The Art Of Derek Riggs" is a full color explosion of Eddie in your face. Iron Maiden’s neon monster is the most beloved and recognized character rock ‘n’ roll has ever witnessed. And in Iron Maiden lore, Eddie has been there from the beginning, helping make Maiden the juggernaut they have become. In Run For Cover, heavy metal’s preeminent book man Martin Popoff coaxes the life story out of Eddie’s reclusive creator. But Run For Cover doesn’t stop there. We also see Derek’s work before Maiden, as well as his art for the likes of Gamma Ray and Stratovarius, all the while Derek explaining the often esoteric meanings behind the art, his techniques, as well as the battles with his health that have often threatened to grind his output to a halt. 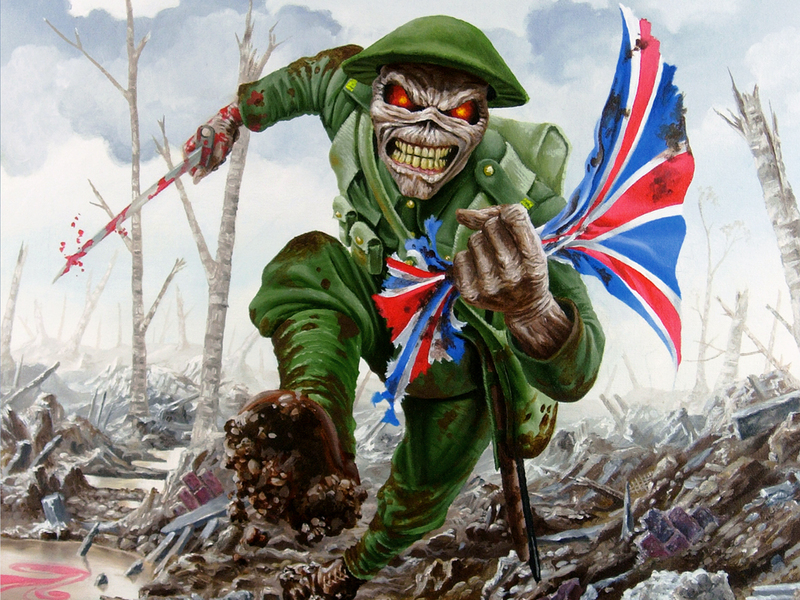 Run For Cover is presented as a 180 page, full color, large format, top quality art book, sporting approximately 200 graphics, some unpublished, some unfinished, many pristine originals from the Iron Maiden vaults. In addition, Riggs has painted a stunning new Eddie to grace the cover.